Off-camera lighting specialists Pocketwizard recently featured my work on their website and in their blog. 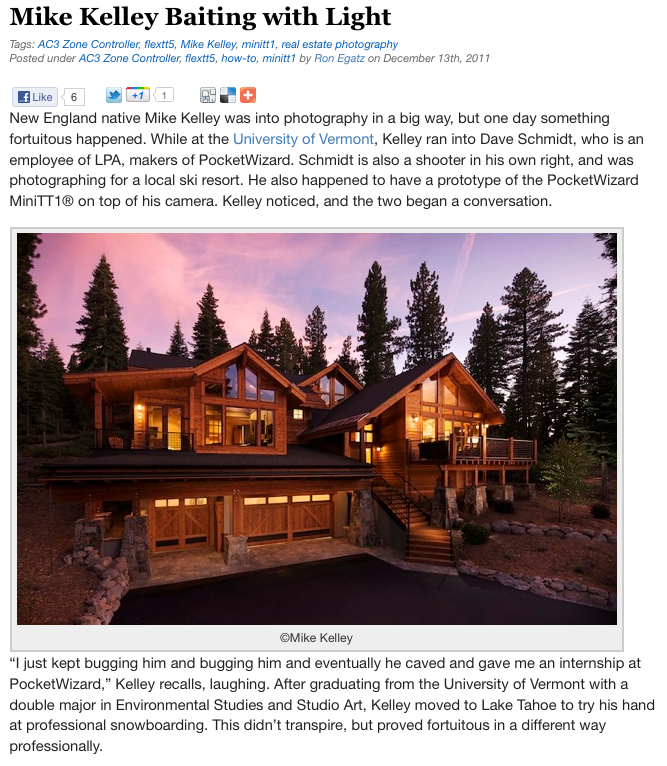 The article goes into detail about how I got started in interiors and architectural photography, as well as explains some of my techniques and methods used to create my images. I think it's well worth the read, and they did a fantastic job writing both an informative and somewhat humorous article. An excerpt of the article can be read below, and the entire article can be read by clicking here. Thanks to Ron Egatz, Dave Schmidt and everyone at Pocketwizard who has offered assistance or put up with my questions for the past few years!